"I cannot thank you enough for being part of the best day of my life! 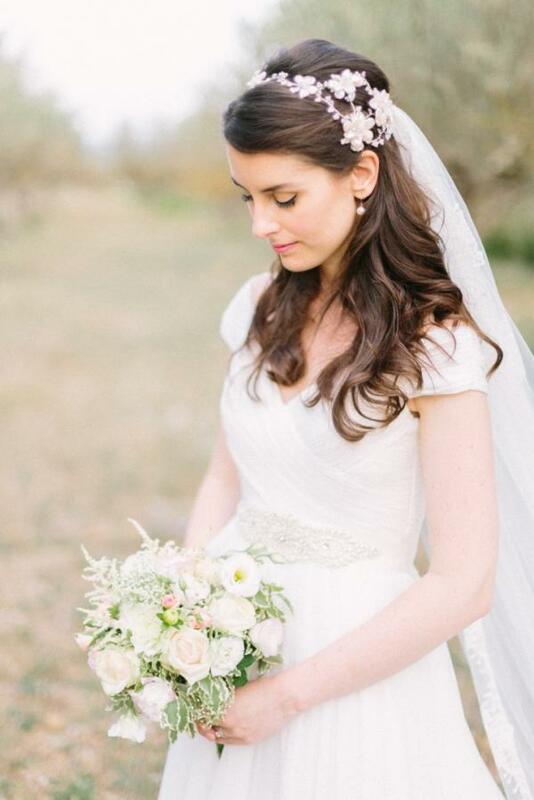 Florrie was the perfect headdress, it complimented my dress so beautifully! I will forever treasure it and I hope one day I will be able to pass it onto my daughter for her special day. Elaine (a very very very pleased bridal client)". Elaine wearing her gorgeous Florrie headdress, designed and beautifully created by Hermione Harbutt. Photography by Maya Marechal.